Never clean your gutters again with micro-mesh gutter protection from industry leader Xtreme! 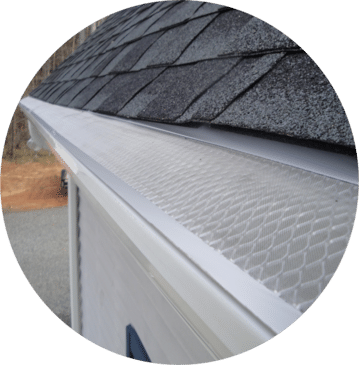 Xtreme Micro-Mesh Gutter Guards is an aluminum product with a stainless steel micro-mesh expanded over it that yields the optimum micron size (440) to prevent all debris from entering the gutter system. The .024″ aluminum body and lip is mechanically fastened over the mesh laminate using a patented “hemming” process. This creates an exponentially stronger product, in both compression and tension. The embossed texture deters debris from “sticking” to the product by minimizing surface contact area. This increases debris shedding. The front leg of the product screws to the front lip of the gutter and the back upward bend allows it to be screwed directly to the fascia. This creates a slight forward slope. This installation creates “box girder” strength, making the gutter assembly, which is inherently weak by nature, a completely closed member. The micro-mesh handles an amazing 60 gallons of water per hour ensuring that pine needles, twigs, leaves, twigs, oak tassels, shingle grit and other small debris will never breach the system to enter into the gutters. The mesh is strategically sized to allow passage of pollen and dust so it is washed through during rainfall. It may be necessary from time to time to clean or remove stubborn debris (inorganic & organic) from the mesh surface to maintain the proper performance, but that is true with any gutter protection in the marketplace today. The best part is NO roof or shingle contact is required. Here at Blue Ridge Exteriors in Richmond, we are proud to sell and install some of the finest gutters and gutter guards in the industry. Most people understand that gutters do the job of funneling water away from your home in the event of rain. But many people don’t realize how important it is for your home to have properly draining gutters. When they are clogged, water can enter your house through your roof, windows, and doors. Water build up in the summer and ice build up in the winter can have many harmful effects on your home such as rot and the creation of mold. Improper drainage of rain water can also dirty up walls and siding when it runs down or splashes up against it. Just as important, properly functioning gutters can protect the foundation of your home because they prevent water from building up around the base of your house. This way there is less erosion of soil around the foundation. Xtreme Micro-Mesh Gutter Guard system is known for being reliable in all seasons and weather including high winds, ice, debris and snow. With this innovative product you can say goodbye to regular maintenance and climbing a ladder just to clean the debris out of your homes gutters. Call Blue Ridge Exteriors today and ask about our built to last Xtreme Micro-Mesh Gutter Guard systems if you want to protect your Virginia home from damaging water and ice buildup. 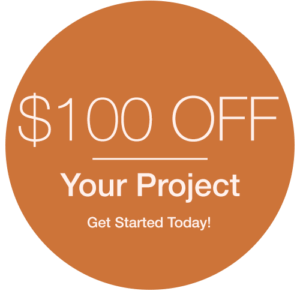 We install gutter guards and gutters in Richmond VA, Chesterfield, Fredericksburg, Charlottesville, Williamsburg and nearby areas.